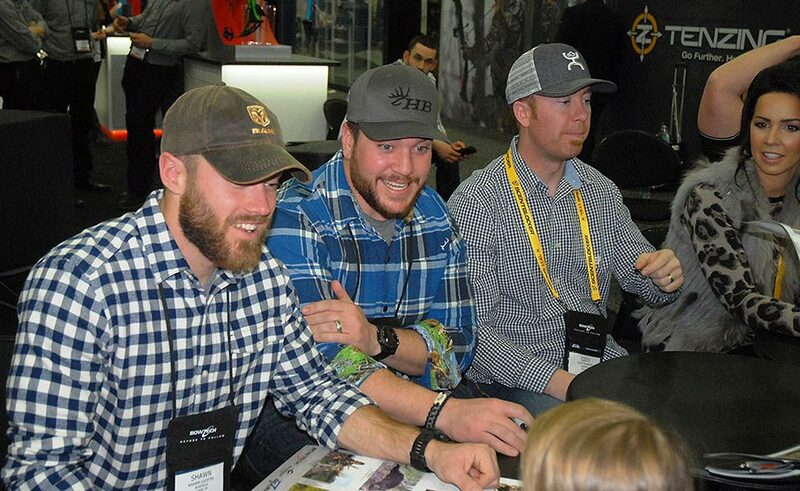 The first time I remember seeing the Heartland Bowhunter crew a few years ago on the crowded show floor at the annual Archery Trade Association Show (ATA Show), they were well on their way to making a pretty good splash in the deer hunting world. True to form, when I passed the booth where the HB show's crew was signing autographs and taking photos with fans on that frigid January day, there was a pretty sizable crowd gathered around for the meet-and-greet at a sponsor's booth. But as good as the HB crew was at the beginning of their run on Outdoor Channel, the Missouri-based group of Michael Hunsucker, Shawn Luchtel and others in the crew have moved from being the opening act to bona fide rock stars in the industry. After all, when you put one of the best outdoors shows out there with a unique look, innovative filming and a distinct flare for telling compelling stories on high-definition video, what's not to like? Add in a plethora of record-book bucks taken each fall by the Heartland Bowhunter members and there's little wonder as to why the show has grown. The result today is that the humble young men who make up the Heartland Bowhunter show will soon draw long lines of fans when the 2017 version of the ATA Show kicks off in Indianapolis for its January 10-12 run. And when the show does open up, Hunsucker and his HB gang are glad to be there, thank you very much. "For us, the ATA Show is the single most important tradeshow of the year," said Hunsucker. "Being a bowhunting-only show, every single one of our partners attends this show." Given the volume of business the annual bowhunting and archery show brings to those in the outdoor industry, Hunsucker said the Heartland Bowhunter crew rarely gets a moment to sit down. "We basically spend the whole day at the show, from open to close," he said. "There are plenty of meetings with our business partners and a lot of meet-and-greets with the fans." If you want an autograph, get in line early to see the Heartland Bowhunter crew and to catch up on all of the big buck stories that they're able to tell from their adventures this past fall. Aside from meeting with sponsors and greeting fans, Hunsucker remains a fan of the bowhunting show and the associated industry, always hoping to get away for a little personal time to walk the crowded show floor aisles and see what the new year will bring. "While we have a lot of meetings and fan meet-and-greet sessions, we love to try and get out to walk around and see what's new," he said. In the years the HB crew has attended the ATA Show, Hunsucker has seen several changes, almost all in a positive sense. "I feel like the show has grown quite a bit over the past 10 years," he said. "It's great to see all of the innovation and new products (out there). "There is literally anything that a bowhunter could ever want at the ATA Show, all under one roof in one room!" If there is a down side to the annual trek to places like Louisville, last year, and Indianapolis, this year, it's the timing of the annual early January tradeshow versus the end of deer hunting seasons back home. "It does get in the way of the last week of the Missouri archery season," said Hunsucker. "We are open here in Missouri until January 15. And sometimes, we get a nasty cold front that we need to hunt (and film) but can't (do so) since we need to be at the show." Aside from that, there's much for Hunsucker and the HB crew to like when they point the pickup trucks to towards Indianapolis for the annual archery tradeshow run. "It’s truly an eye-opening experience to see all of those companies and products under one roof," said Hunsucker. "You literally can’t see it all in only three days." Which sounds an awful lot like the process of trying to get in line and get an autograph these days from a certain group of Missouri bowhunters who hail from America's heartland.